The U.S. appeals court decision about keeping government rules would levy new constraints on the way internet providers get user data. It could thus be a detriment to Verizon and AT&T’s pursuit of Yahoo Inc’s digital assets and new ad revenue, as per MoffettNathanson. “If things continue on the current trajectory, we’re looking at a world where Verizon or AT&T’s hands could be tied with respect to how they use data that is the heart of the Yahoo strategy,” analyst Craig Moffett of MoffettNathanson commented to Reuters. The U.S. court upheld the Obama’s administration rules restraining internet service providers from stalling or slowing down consumer access to web content. It affirmed the FCC’s effort to reclassify both wired and wireless broadband services as Title II “telecommunications” offerings, making them subject to open internet rules, making it necessary that all internet traffic be treated equally. The court’s decision for wired services was expected, but the stand for reclassifying wireless services was unexpected. The mobile and fixed-line internet service providers (ISPs) have opposed the FCC’s reclassification, stating that it provides non-ISPs an advantage in the expanding world of internet marketing, which is not fair. Facebook and Google are exempted from FCC’s rules regarding net neutrality. 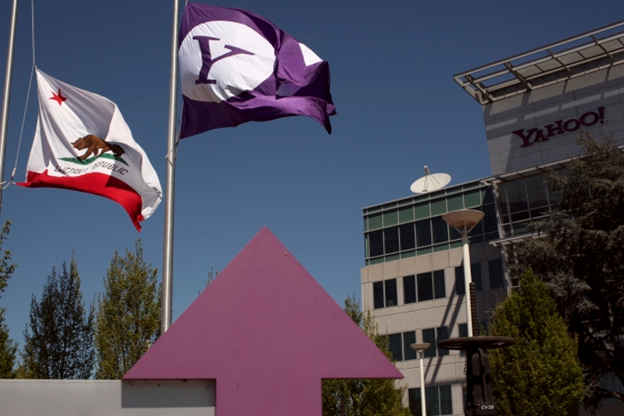 Verizon and AT&T are the two largest mobile carriers that are preparing for a third and final round of bidding for Yahoo’s online business. Verizon topped by multiple bids in the range of $5 billion, with a second-round bid of nearly $3.5 billion. But the bidders may reconsider investing after the U.S. court’s decision. After the recent statements made by President Obama and FCC Chairman Tom Wheeler regarding the possibility of reclassifying broadband providers under the Title II regulations of the Communications Act for utilities, AT&T has settled to pause its planned rollout of its new U-Verse GigaPower fiber service until the expected argument regarding the issue is settled once and for all. CEO Randall Stephenson said that it is not feasible to make the move investing the amount of money it would take to deploy fiber to 100 cities while being still unaware of the rules under which those investments will be governed. Therefore, it is wiser to simply pause and take time to develop the insights and understanding about how those rules will be implemented and what their impact would be. Reacting to the statements made by Obama and Wheeler on the Net neutrality push, AT&T threatened legal action if any attempt was made at Title II classification for broadband providers along with other carriers. Although this latest move by AT&T seems logical in the turn of events, it also throws some light on the psychology of the major carrier. AT&T is indeed feeling threatened by the statements made by Obama and Wheeler regarding the new push because being reclassified as a utility would mean that the company would no longer enjoy the advantages it currently does as a broadband provider. Without the advantages in infrastructure control and local monopoly power that AT&T has been benefiting from all these years, it would be forced to compete against local competitors and resellers, much like its namesake predecessor did when the Bell System was broken up during the 1980’s, which lead to competition and growth in the telephone sector that drove down prices for local and long-distance calling.